HaiVision Network Video today announced that it will participate in the Technologies for Worship Pavilion (N3134) at the 2010 NAB Show along with integrator Eastgate Productions. 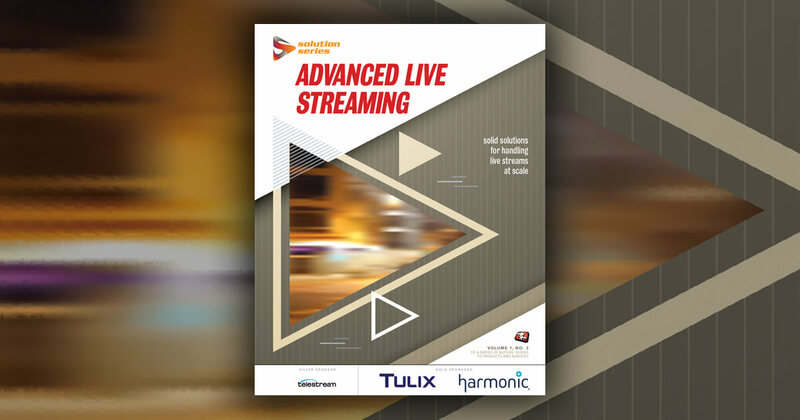 Within the Pavilion, Eastgate Productions will showcase HaiVision's Mako™ codec, which provides high-quality H.264 encoding and low-latency performance essential to delivery of real-time video among multisite churches. "Houses of worship today are leveraging high-quality video streaming solutions as a convenient and cost-effective tool for growth, and for achieving greater reach with the worship message," said Eastgate Productions' Jayson Fuhlbruck. "We will demonstrate at the NAB Show how the Mako's exceptional encoding quality supports use of cost-effective content delivery networks, and even the public Internet, to enable true-to-life video communication in the worship setting." HaiVision's Mako codec delivers an unparalleled 70 milliseconds end-to-end latency and supports up to 1080p HD resolutions. The codec also supports computer output encoding to H.264 at up to 1280x768 resolution and 60 frames per second. With advanced features such as WXGA encoding, multiple stream output, HiLo-Streaming™, Adobe® Flash® compatibility, and traffic shaping, the Mako is ideally suited for any network video challenge over LAN, WAN, or satellite. The Mako is supported within HaiVision's hai1000™ multistream codec system, the world's premier codec for TelePresence applications. Each hai1000 system can contain up to five Mako codecs within a compact, telecom-grade 3RU frame. "We're pleased to be partnering with Eastgate Productions to demonstrate the unique combination of value and performance that HaiVision encoding products bring to the worship market," said Peter Maag, senior vice president at HaiVision. "The Mako encoder excels in reducing bandwidth requirements of high-quality video, allowing churches to take advantage of the always-on IP-based networks now readily available at attractive rates. For large and growing churches, these sophisticated yet affordable encoding technologies also simplify the delivery of live video from the main campus to remote sites." Eastgate Productions is a creative production company that designs, manages, and produces technology, events, and environment solutions. The company's services support innovative design/build, management, production, concept development, branding, and other media-related services. Eastgate Productions' strategic storytelling abilities facilitate not only education and entertainment, but also effectiveness through successful results for clients. The company earns each client by adhering to core values of creativity, passion, and fairness, which yield long-lasting client relationships and trust. More information is available on the Web at www.eastgatepro.com and via e-mail to info@eastgatepro.com.